A Dodge lease from Golling Chrysler Dodge Jeep Ram of Chelsea comes with a number of advantages over a purchase. Our dealership in Chelsea, Michigan offers attractive lease options in order to lower your monthly payments. These smaller car payments often springboard customers into leasing a car that was previously out of their price range, so you can consider exploring a Dodge vehicle with a higher trim level. Another great aspect of a lease is the longterm flexibility of being able to upgrade to a newer model at lease end or to buy out the remaining value of the car if you don't want to part ways. Whatever your motivation for a lease, there are plenty of choices at Golling CDJR Chelsea, so come by the dealership today to check out the inventory. The selection of new Dodge vehicles at Golling Chrysler Dodge Jeep Ram of Chelsea is wide enough that there is always something for every Dodge customer. 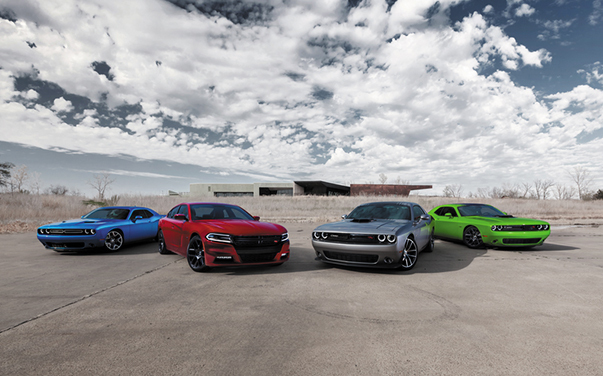 No matter the model, all Dodge models are American-made and built to maximize performance. The Dodge Charger and Dodge Challenger are built with American muscle, the Dodge Grand Caravan is the perfect family car, and the Dodge Durango and Dodge Journey appeal to adventurous drivers looking to explore the outdoors on the weekends. Call our Dodge dealership today to schedule a test drive in Chelsea, MI. Securing a Dodge lease is easy at Golling Chrysler Dodge Jeep Ram of Chelsea because our finance department equips customers with tools like our online finance application, a monthly car payment estimator, and a free trade-in appraisal so that shoppers can come into our dealership informed on their current financial situation. Our finance specialists will help explore Dodge lease options, as well as all of our other financing options. We promise to keep you well-informed and treated fairly throughout the process. Come to our Dodge dealership today for a more in-depth conversation about auto lease options in Chelsea, MI.